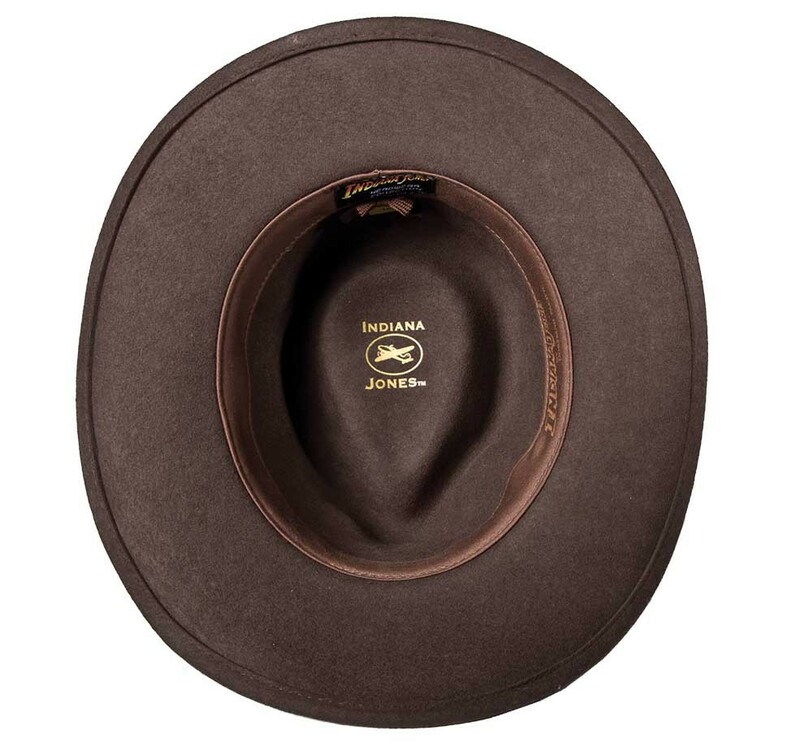 When it comes to Indiana Jones hats, don't settle for anything less than authentic. 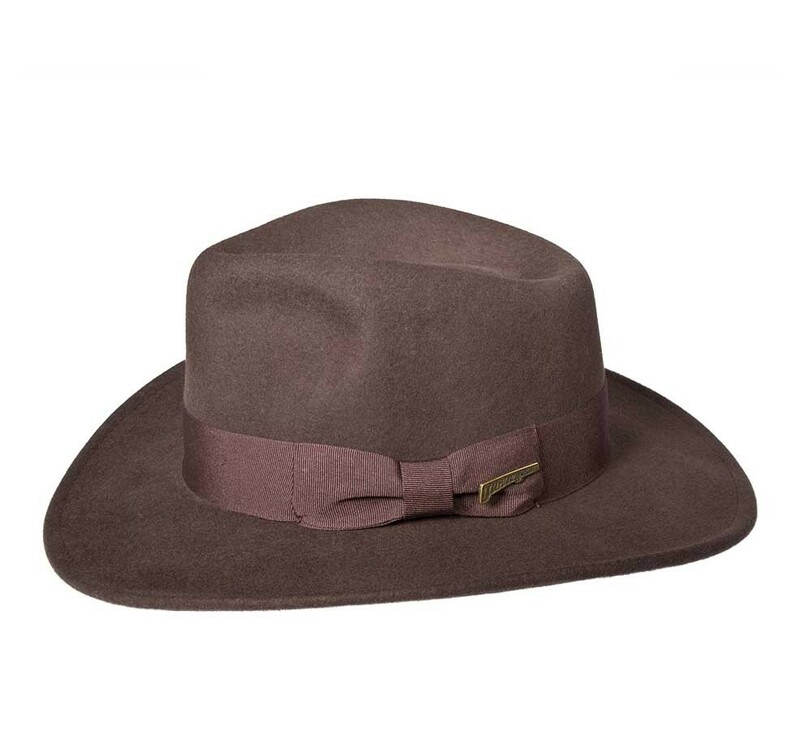 This officially licensed crushable wool felt fedora features an Indiana Jones pin and is made of water resistant wool felt. 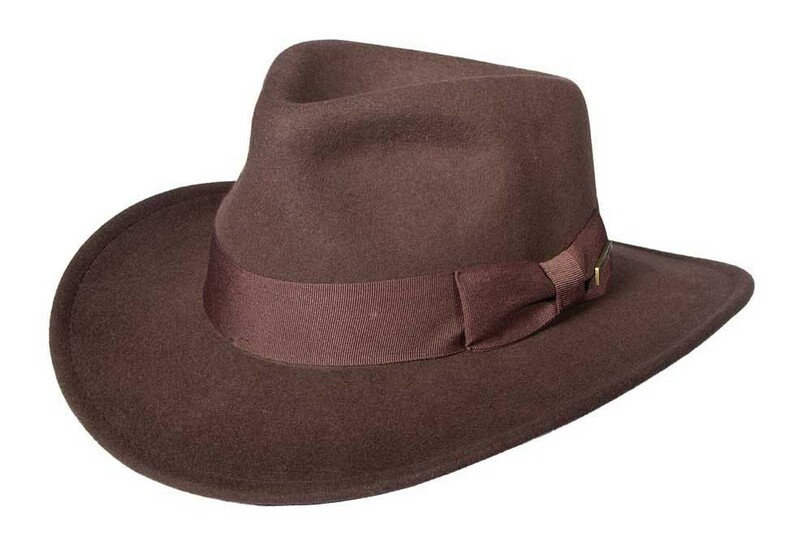 If this hat didn't have enough for you yet, it comes with an official Indiana Jones Pin. So the next time you're dodging traps in ancient ruins, you'll be prepared for anything. This is just an email to let you know how pleased I am with the hat I received. I have rarely bought hats in my life before, and certainly not by mail. the quality is excellent, fit is perfect, and it looks terrific. It arrived super quick and in beautiful condition, packing was perfect. The Indiana Jones Fedora fits perfectly on my hat. Several people recognize it. Only one old lady thought I was wearing a cowboy hat. I like this hat it reminds me of the kinds of hats my dad wore in the 1940's. This company was VERY easy to work with and they answered all emails and questions immediately. My package was shipped out quickly and arrived in pristine condition. The hats look great and will be perfect for the groomsmen at my wedding next weekend! I'll definitely order from the fedora store again! I got this for my boyfriend for his birthday. As we are both huge fans of Indiana Jones, this made a perfect gift! I've been wearing fedoras since the early 70's. This by far is one of the best I've owned. It's made by Dorfman Pacific and fit great right out of the box. I would highly recommend this hat to everyone! 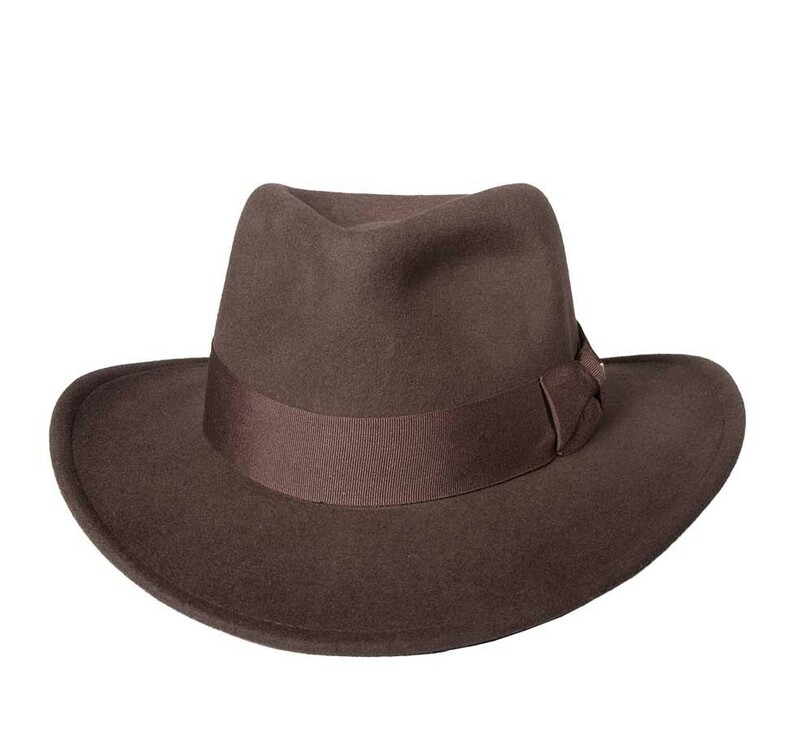 Note to IJ fans - This is a teardrop fedora and therefore not a true IJ replica. If that doesn't matter, it's a hat well worth the money.